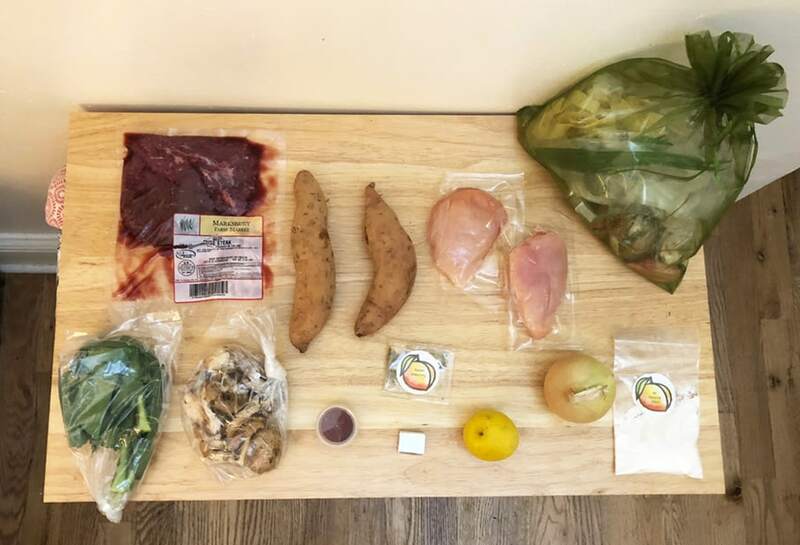 PeachDish Review: The Best Farm Fresh Meals Delivered? How would you like a meal delivery service that takes the hassle out of cooking while providing you with plenty of flexibility? 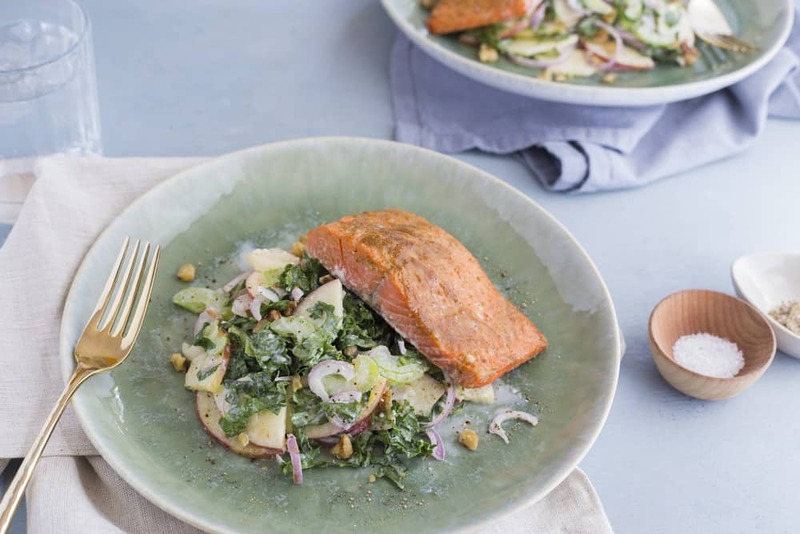 If that sounds like just what you need to make dinnertime easier, you’ll want to check out PeachDish. Most of the meal delivery services on the market require you to sign-up for a weekly subscription. While you’re always able to skip a week, it’s an added hassle if you’re worried you might forget and get charged for a delivery you didn’t actually want. With PeachDish, you have the option to do a weekly subscription, but you can also do one-time deliveries whenever you like. This allows you to customize their meal service based on your needs. Plus, you can even order weeks in advance if you’d really like to plan ahead! That’s something most services don’t offer. 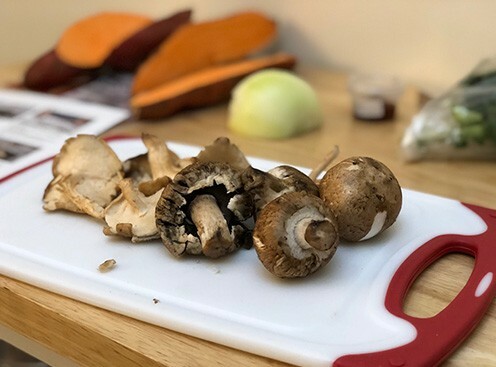 With flexibility, variety in your meals each week, and high quality ingredients, PeachDish is certainly a contender in the meal delivery service world. Keep reading to learn more about how to join and what kinds of dishes they have to offer! If you’re interested in placing an order with PeachDish, you have different options to consider. 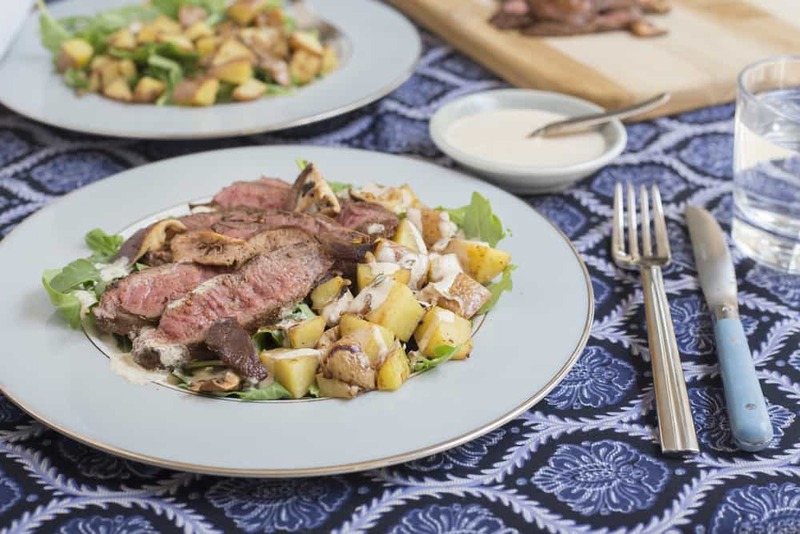 You can sign-up for a subscription, which delivers weekly meals just like any other meal delivery service would. Alternatively, you can place your order as a guest, which prevents you from receiving automatic deliveries each week. This means you’ll only receive one box at a time, allowing you to order when you want without having to remember to skip weeks. It’s ideal for anyone who doesn’t want the commitment of a weekly subscription. When you opt for the weekly subscription, you will still be in control of which meals you receive and how often you get deliveries. You’re able to pick your meals from the available menu each week. If at any time you’d like to skip a week, you’re able to do so as well. To get started, you’ll begin by selecting the meals you’d like to receive. You’ll have a variety of options based on what’s on the PeachDish menu for that week. Keep in mind that they require a minimum order of $45 for delivery. This means you’ll need to choose at least a couple of meals to add to your cart. Once you head to the checkout, you’ll be prompted to log into your account or create a new account. From there, you’ll have the option to checkout as a guest without a weekly subscription or starting a new subscription. If you’re just trying out PeachDish for the first time, you might not want to commit to a subscription just yet, so having this option is a definite plus. However, guests are required to pay $12 per shipment, which is a fee that’s waived for subscribers. 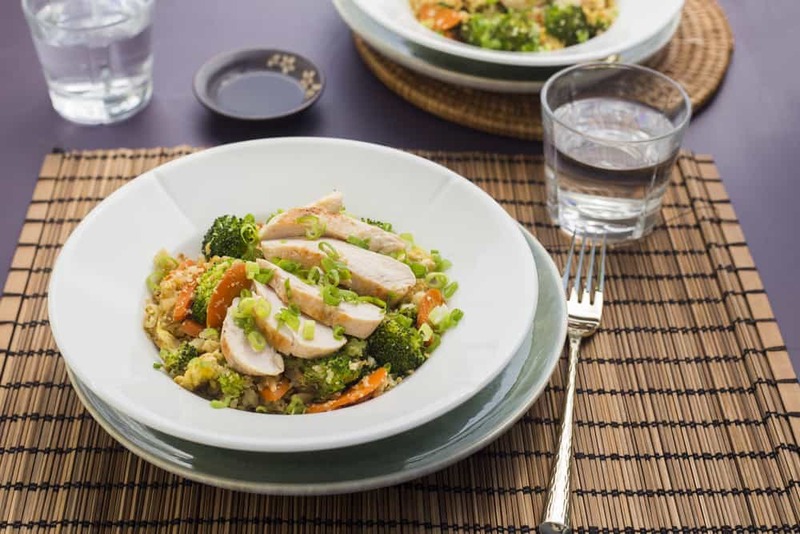 If you choose to sign-up for a subscription, you’ll be prompted to select your meals each week. This means there won’t be any surprises about which meals you receive from them. You’re always in control of what you choose to order. PeachDish offers a variety of meals you can choose from. If you’re gluten-free or vegetarian, they have options suitable for you as well. When viewing their available meals for the week, you can filter them to see only what’s right for you. They even have dishes that are packed with superfoods and sweets to satisfy any dessert cravings. 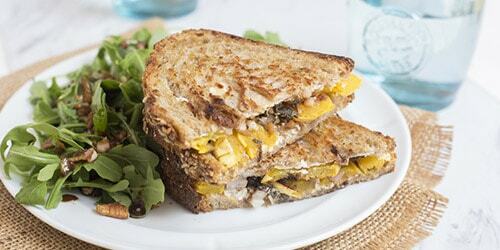 When browsing their menu, you’ll find dinner items such as: Courtney Swan’s Cauliflower “Fried Rice” with Seared Chicken, Broccoli, and Ginger, Delicata & Goat Cheese Panini with Arugula-Pecan Salad, Italian Wedding Soup with Grass-Fed Beef, Orzo, & Greens, and Seared Chicken with Bacon, Brussels Sprouts, & Sage. For dessert, you can order yourself an Apple Crisp with Vanilla Cream, the Chocolate Croissant Bread Pudding, or Georgia Apple Pie with Organic Butter Crust. If you’d like to add some superfood-filled meals to your week, there are a few options each week to consider. You might like the Butternut Squash & Three-Bean Superfood Chili with Roasted Red Pepper & Crema, the Superfood Veggie Calzone with Spiced Dipping Sauce, or the Root Vegetable Stir-Fry with Brown Basmati Rice & Benne Seed. Currently, PeachDish ships to the entire continental United States. They are, unfortunately, unable to ship to Alaska, Hawaii, or Puerto Rico. At this time, it’s not clear if they have intentions to one day expand their shipping range. Due to the need to keep food fresh, it’s difficult to ship to states like Alaska and Hawaii due to the distance involved. When it comes to shipping, PeachDish doesn’t charge for delivery to most states. 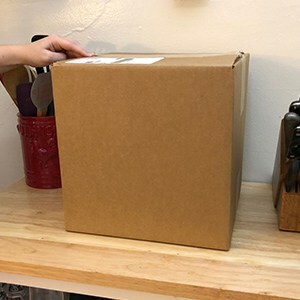 If you live in one of the following states, you will have to pay a $15 state fee for shipping: Arizona, California, Colorado, Iowa, Idaho, Kansas, Maine, Minnesota, Montana, North Dakota, Nebraska, New Mexico, Nevada, Oklahoma, Oregon, South Dakota, Utah, Washington, or Wyoming. For guest customers, a shipping fee is always required. This can range from $12 to $27, depending on your location. If you live in one of the states mentioned above, you will be charged a $27 fee for shipping. If you live in a state that wasn’t included on the aforementioned list, your shipping total will be $12. The reason for this is that guests are charged $12 for shipping, but there’s an additional $15 state fee for the states mentioned in that list. As soon as your order ships, you will be provided with a shipping confirmation email that contains tracking information. You’ll be able to stay updated with the progress of your order every step of the way. Typically, it will arrive anywhere between 11 AM and 5 PM on the day of delivery, but this ultimately depends on the parcel carrier. Another benefit of PeachDish is that they allow their customers to choose their delivery day. The options that are available to you will depend on your location. This allows you to select a day that works best for you. Because they’re focused on minimizing the environmental impact their business has, PeachDish strives to use as much recycled, recyclable, and biodegradable packing as they can. They encourage all customers to do their part by recycling what they can of their materials. Their ice packs are great to refreeze and use again in the future. You never know when they might come in handy, so instead of tossing them out, you can store them in your freezer. However, if you’d rather dispose of them or you’re finding you have too many ice packs piling up, that’s okay. To get rid of the ice packs, you’ll want to cut the corner of the package and pour the non-toxic, soluble get down the sink. After you’ve done this, you can recycle the #1 plastic at your local recycling facility. The organza bags they use in shipping are 100% reusable. They’re perfect for storing little trinkets or even dressing up a gift. In fact, their blog has plenty of other fun ways you can reuse the organza bags instead of throwing them out. The plastic jars in your order are perfectly fine to reuse. Keep them on hand for storing sauces or salad dressings to pack in your lunch box. The ideas are endless here! If you’d prefer to get rid of them, they are a #6 plastic and can be recycled. The insulated protein pouches are perfect for reusing as a way to keep food cold while you’re on the go. Jute liners are included in the box as well. PeachDish encourages you to use these in your own yard since they’re made from 100% compostable materials. It can actually help prevent weeds from growing! The #4 plastic that surrounds the liner can also be recycled, as well as the other white liner inside the box. PeachDish’s plastic water bottles are #3 plastic and can be recycled, but can also be reused as well. They suggest making them travel-sized toiletry bottles for your shampoo or mouthwash. And finally, their cardboard boxes are made from 100% recycled cardboard, meaning you can recycle those as well. If you’re curious about where PeachDish sources their ingredients, they actually include information about the farmers they work with on their website. There’s a long list of farms they’ve partnered with to source only the best ingredients for their customers. Being able to this information is pretty impressive! You’ll never have to wonder about their sources for meats or produce. PeachDish is committed to delivering only the freshest ingredients to those who order meals from them. When you receive the pre-portioned ingredients needed for your meal, you can count on everything being fresh and flavorful. In fact, they even offer a 100% satisfaction guarantee. If you aren’t happy with their service, you can let them know! 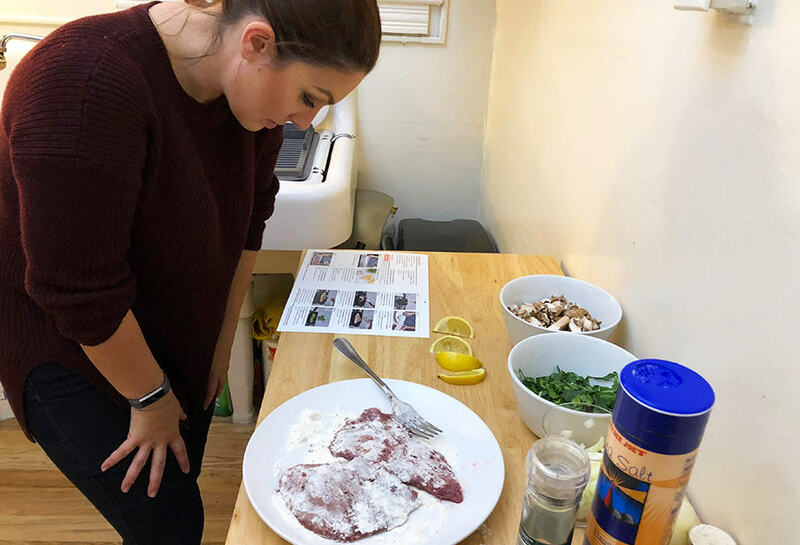 If you’re looking for a service that’s going to get you in the kitchen and doing some cooking, PeachDish is one of the many meal delivery services that will do just that. Fortunately, you don’t have to be an expert chef. 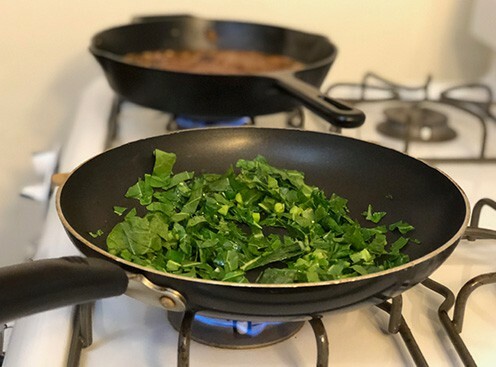 You don’t need to have tons of experience in the kitchen to whip up a great meal with PeachDish on your side. They’ll provide you with all the ingredients you need to make the dish you’ve chosen. When the ingredients are delivered straight to your door, it cuts down on the hassle of those grocery store trips that you dread so much. All you have to do is prep the ingredients, cook, and eat! This is made even easier with the recipe cards PeachDish sends you. They guide you every step of the way, so you never have to stress. With fresh ingredients and creative dishes, there’s no denying that the meals from PeachDish taste great. Not to mention, they’re providing you with healthier options that you don’t have to feel guilty about eating. Their Cheesy Farm-Egg Frittata with Potato, Spinach, and Mushroom makes for the perfect breakfast for dinner option. With farm dress eggs, spinach, mushrooms, and Gruyere cheese, it’s savory and filling. Plus, it’s easy to make since it only requires one pan. Another great dish is Kevin Clark’s Comfy Chicken. It features skillet-fried chicken, biscuits, and sausage gravy. Kevin is a guest chef for PeachDish and this dish doesn’t disappoint. It’s the perfect comfort food dish for an evening in. You can then follow it up with their incredible Chocolate Croissant Bread Pudding. It’s perfect for satisfying any sweet tooth cravings you may have. And who could resist a chocolate croissant? Pricing for your meals depends on exactly what you’re order and how many servings you need. Many of the dinner dishes are around the $24.99 price point for two servings, but they can get more expensive. If you’re sticking to a budget, keep an eye on prices as you’re adding dishes to your shopping cart! But do keep in mind, you’ll have to spend at least $45 to even place your order. As mentioned previously, there will be shipping charges for those who don’t sign-up for a weekly subscription. For most states, that shipping charge will be $12. However, if you live in one of the states mentioned in the “Delivery” section, you’ll have to pay an additional $15. Even weekly subscribers have to pay that $15 fee if they live in one of those states. 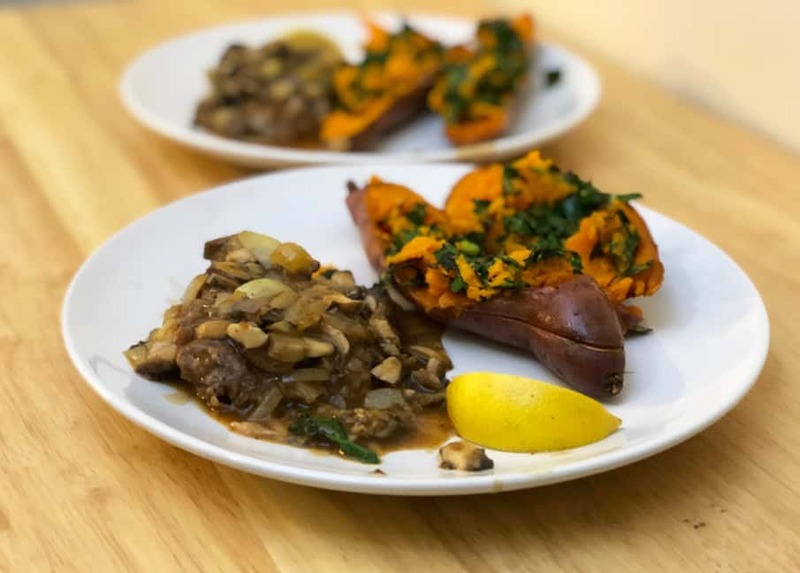 If you’re looking for a meal delivery service that’ll encourage you to get back into the kitchen, PeachDish is one to consider. They’ve partnered with a wide array of farmers from all around the country to source some of the highest quality, freshest ingredients that get delivered straight to you. With these pre-portioned ingredients and detailed recipes, you’ll be cooking up a storm in no time at all. Remember, there’s no need to be a professional chef in order to create these meals at home. 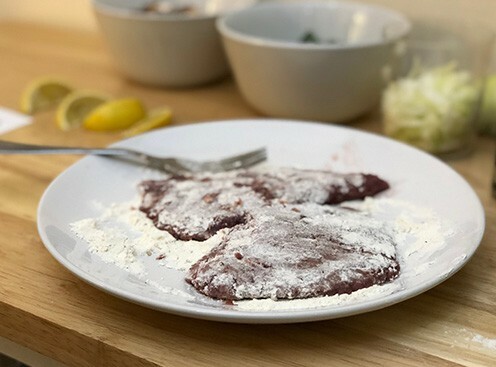 PeachDish has made it easy to follow along with their recipe cards, plus most of their meals take under one hour to prepare. This means you’ll have dinner on the table in no time at all. And you’ll be broadening your cooking skills at the same time! If you're looking for a lot of variety when it comes to farm-fresh meals, PeachDish is probably your best option. They're also one of the few meal delivery services that allows you to order without subscribing to their service.